I honestly didn’t think this drugstore herbal shampoo would make much difference to my hair; but girls this shampoo really is DIFFERENT! Want to know how? Read review to discover. But before I hop on to the review, let me start off with a short description of my hair and scalp. I have dry, rough hair that tends to get frizzy the moment I step out of the house. And since my scalp is oily, using moisturizing products weigh down on my hair. No wonder, I am constantly on the look-out for shampoos and conditioners to full-fill a variety of needs such as adding volume, moisturizing my strands, and getting rid of all dirt, grime and product build-up from my hair and scalp. How demanding I am! Anyways, by the time I got Patanjali Kesh Kanti Shampoo it had already been a week since I had washed my hair with a clarifying shampoo (imagine the build-up of gunk, residue from dry shampoo and smoothing serum sprays!). Needless to say – perfect conditions to put this natural hair cleanser to test! So with my hair at new heights of ‘jankiness’, I reached for Patanjali herbal shampoo. Reading the directions on the bottle, I squeezed about a quarter-sized amount into my palm and worked on my hair. Patanjali kesh kanti being herbal shampoo with very few surfactants, I wasn’t expecting much lather or foam from this shampoo. But boy, would you believe the shampoo suds into lavish lather providing excellent cleansing. The natural ingredients and herbs present in this drugstore shampoo nourish and strengthen the hair. While, I do not feel the shampoo makes my hair silky smooth immediately after wash, it does add a kind of softness, bounce and shine to my tresses. The shampoo comes at a highly affordable price of INR 70 for 200 ml, thus being one of the most inexpensive yet great quality drugstore shampoo. Patanjali Kesh Kanti Natural Hair Cleanser, like its name comes in a no-fuss white plastic bottle with brown flip open cap. Since the cap is a bit loose, the packaging is not so travel-friendly. The drugstore shampoo has a mild medicine like herbaceous scent, which might smell pleasant to some while offensive to others. To my nose, the scent feels very pleasing and refreshing. I like the gel-like texture of Patanjali kesh kanti shampoo, which is neither too thick, nor too runny. It is brown in color and spreads easily on the scalp producing rich lather. Patanjali kesh kanti shampoo contains all natural herbal ingredients like Reetha, Amla, Bhringraj, Heena, Shikakai, Neem, Tulsi, Baguchi, turmeric and aloe vera in a mild surfactant base. 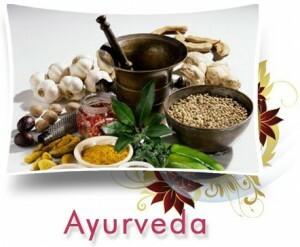 All these are well known herbal ingredients and essential nutrients that naturally clean and nourish the scalp. So as per the brand, regular use of this natural hair cleanser strengthens roots, adds shine and prevents dandruff, premature graying, drying and falling of hair. 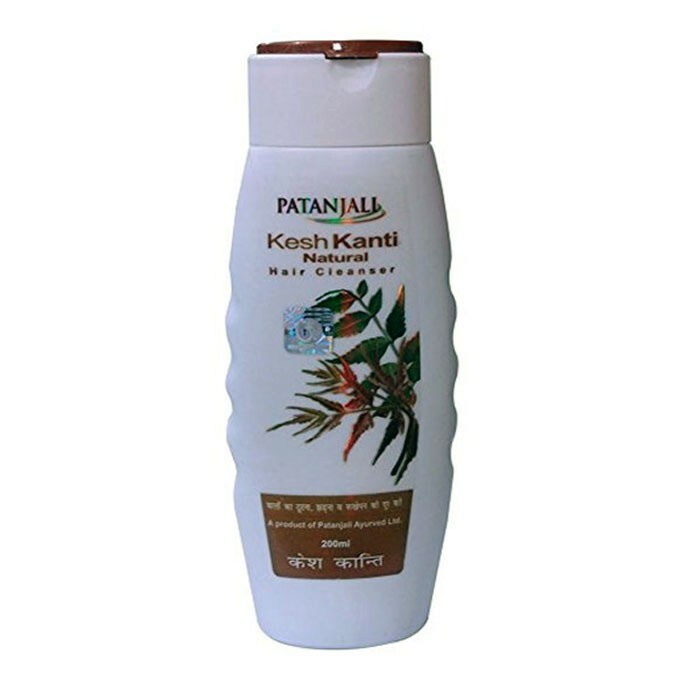 Overall, Patanjali Kesh Kanti natural hair cleanser is a great drugstore herbal shampoo from Baba Ramdev. It cleanses well, suits most hair types, and also adds bounce and shine to the hair. And given the price it comes for, it is totally a must-try drugstore shampoo for everyone. My only issue with Patanjali herbal shampoo is that it contains SLES, which is a big con for me. SLS/SLES is a con for me as well but these are good for a change from routine.. Indeed this herbal shampoo is a refreshing change from routine products. Patanjali shampoo is ruling my shower shelf lately and I’m totally loving it. Hello Anshulika. Read the post. Are there more shampoos of patanjali?. Pz suggest my hair strands dry nd rough. What to use for silky hair. Hi Sonia. Thanks for writing in. Patanjali natural hair cleanser is the first shampoo I have used from Patanjali range. I too have have dry and rough strands and the shampoo suits me well. However, you should use a moisturizing conditioner after washing for smooth hair. Dove has some really good conditioners to its shelf. Besides products, smearing your strands and scalp with a mixture of ground flax seeds, curd and honey is the best thing you can do for your hair. Doing this every once in a week consistently will give you noticeably long, strong, and shiny hair overtime. Is it safe to use for hair from my many friends i listen that it is harmful for hair So plz tell me what should i have to do..
Well, I’ve used it only once and during that time I have not noticed any negative effects or damage to my hair. So can’t comment about the long-term effects as the shampoo is surfactant based. 10000mg contains only 60mg herbs and rest are chemicals. Is that worth calling it a herbal shampoo? Well, I don’t think so. What are your views on this? Hi Harsha. First of all, I’d like to applaud you for your wonderful reasoning. You are right, the shampoo is indeed full of chemicals and doesn’t deserve to be called a herbal shampoo, it’s just like any other drugstore shampoo with a few herbs added to it. Actually that’s what Baba Ram Dev is doing, simply misleading people in the name of ancient Ayurveda! But yes, I did get good results from the shampoo and hence the positive review! You people should mention this in your reviews as it misguides people out there. We all think that its a herbal shampoo and bought it. Baba ramdev is actually fooling people. People out there please get aware of such fake people like ramdev baba and don’t buy his products, that’s my personal suggestion. Can I use this shampoo for my smoothened hair? Well, I wouldn’t recommend you to! For chemically treated hair, it’s best to stick to professional shampoos.